I have been spending so much time on the computer at work that it is hard to come home and sit at the sewing machine. But I have been having lots of fun hand stitching these little hexies. All the fabrics are scraps from the oriental bin. I will decide on the border once the center is completed. 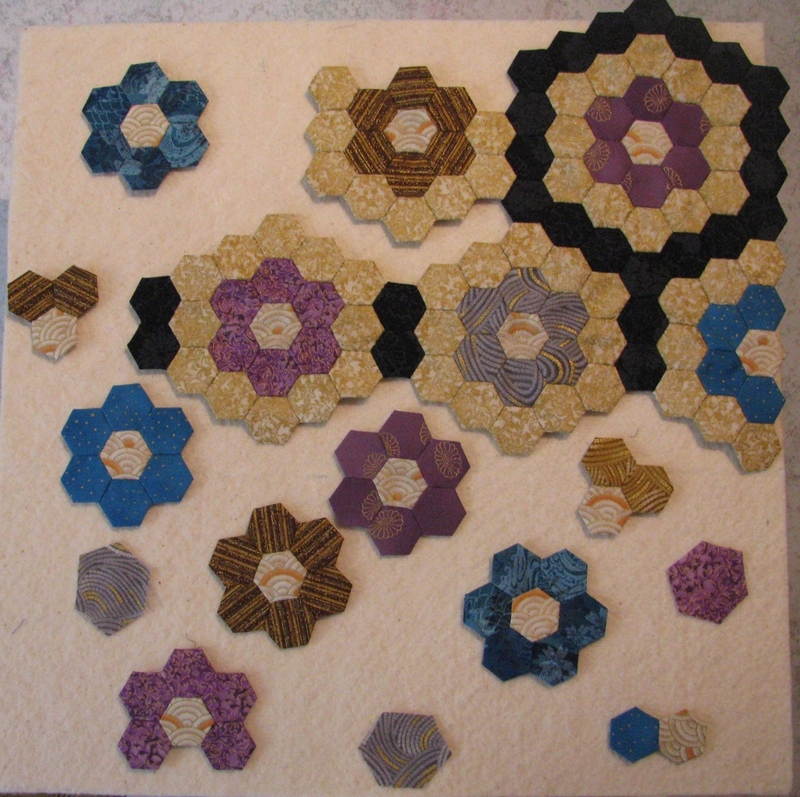 It is surprising to me how much I am enjoying sewing the hexies, but I am glad that this is a small wallhanging. Have a safe Memorial Day weekend – talk to you next week.